Flagship Cruises offer private, luxury boat hire in Sydney, special event ticket cruises, and Sydney Harbour boat hire. Flagship Cruises represent a select fleet of charter boats for hire in Sydney for corporate cruises, social functions, private Sydney Harbour cruises, luxury yacht charters, government transfers, wedding transfers and wedding cruises. Special events are also catered for with both private yacht charters and shared ticket cruises available for days such as Rolex Sydney Hobart Yacht Race Start on Boxing Day, New Year's Eve Fireworks on Sydney Harbour, Vivid Sydney, and Melbourne Cup celebrations in Sydney. 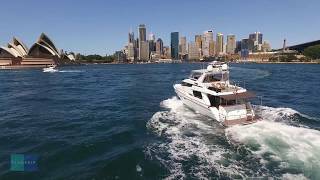 Since Flagship Cruises started operating on Sydney Harbour in 1982, their promise has been to provide customers with high quality Sydney Harbour boat hire and Sydney Harbour cruises at competitive rates.